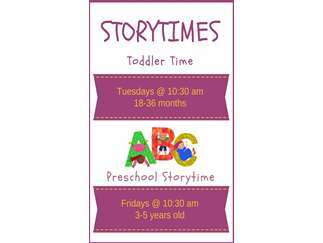 At preschool storytime we incorporate stories, music, dance crafting and more. This program is great for developing school readiness skills. Aimed for ages 3 to 5 years.